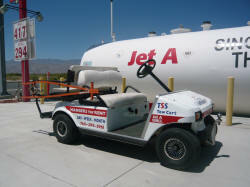 We sell Jet A and 100 LL self serve Aviation fuel and have attended hours to assist in fueling and tugging aircraft. Our business model is simple: buy the fuel and mark it up $ .25/gallon. (Our model is to not change the price based on the price of oil but when we buy fuel.) 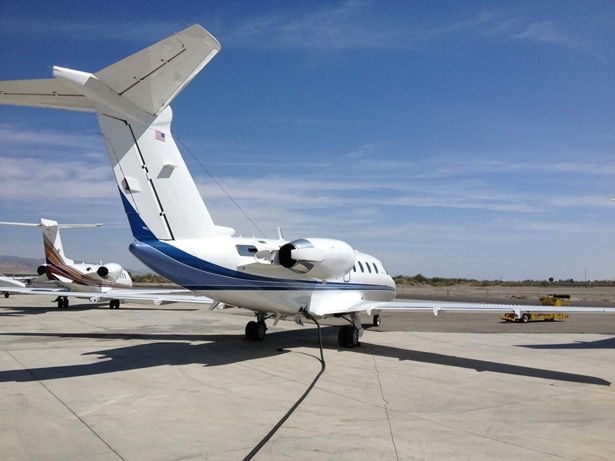 Providing all the tools for the pilot to handle the aircraft, we offer tugs (and training for use), PRIST, Single Point, and over-the-wing fueling. There are no charges for landing or ramp fees. Overnight fees are $10 per night; $40 per week; or $80 per month for piston tie downs. Jet space is located very close to the fuel island and is $35 per night; $210 per week; and $850 per month. Visa, Mastercard, American Express, Multiserve (inside only), AVCARD(inside only), and Phillips 66(inside only) for payment are accepted. Let us know when you will be arriving and we can meet you and your aircraft to assist in the fueling and parking process. We are happy to assist… just give us a call or stop by the office on site. Who better to service your aircraft than you, the pilot? Furthermore, the self service model allows you to maintain the aircraft your way, and allows us to keep our prices lower for you. 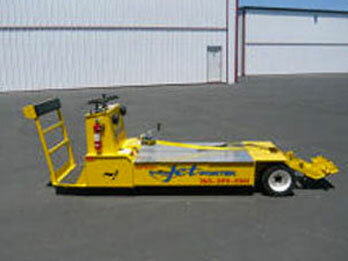 -Our Golf Cart tug is Perfect for aircraft up to 6,000 lbs. -Additionally, our Large tug is great for aircraft 6,000 – 36,000 lbs. The tug has the extension to allow for tugging of Pilatus PC-12’s and other long nosed aircraft. -We have a PRIST injector for Jet A aircraft requiring PRIST. No more trying to figure out how much you need. PRIST can be selected at the fuel master, when prompted to select fuel type press the “D” on the right side of the keypad than select “A” when you see Jet A with additive. 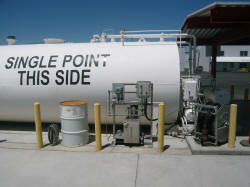 -Single point Jet A refueling. Our hose is 150′ long and 88 gallons a minute. Copyright ©2016 Thermal Aviation. All Rights Reserved.